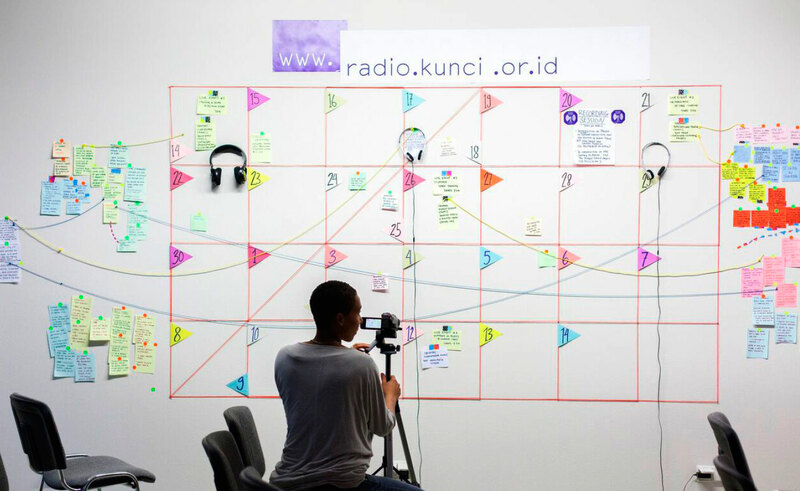 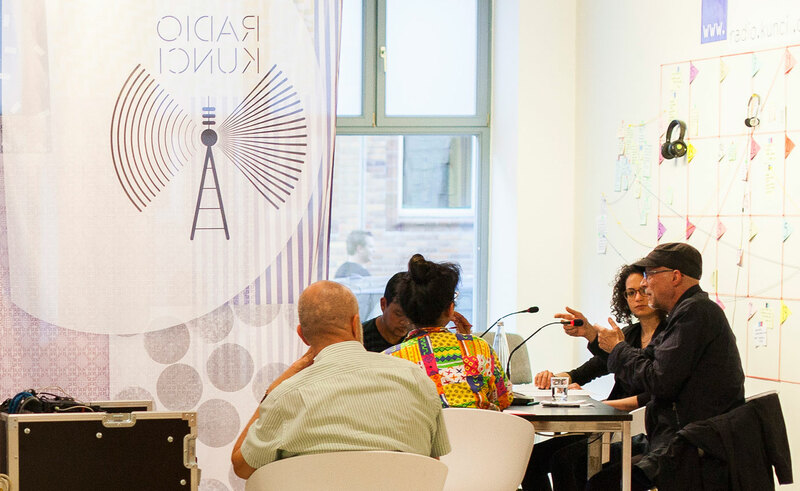 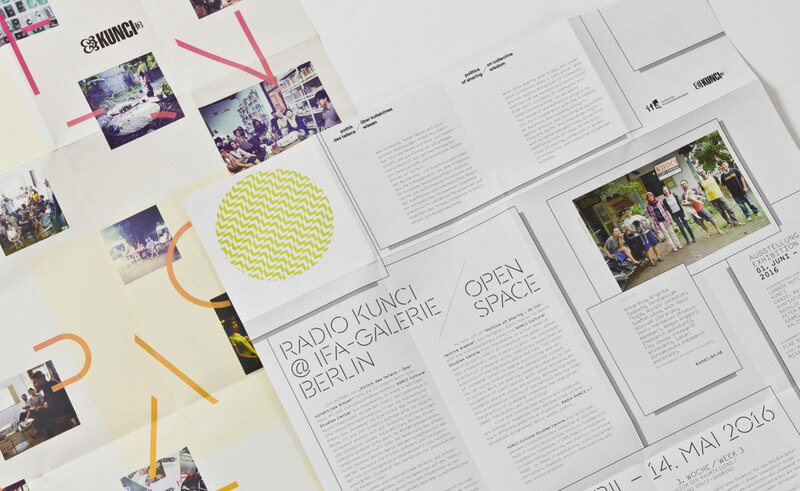 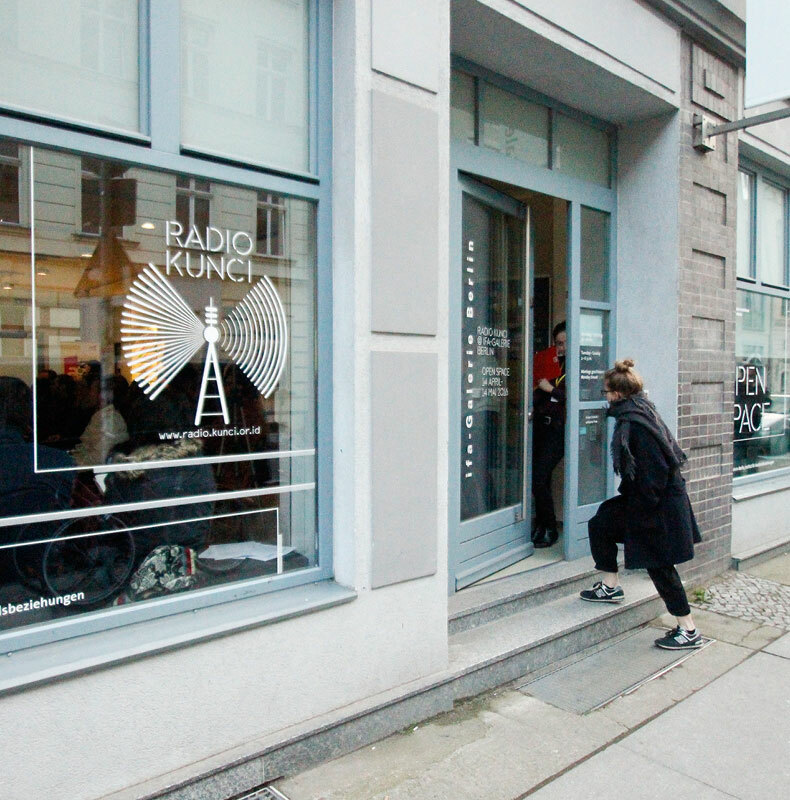 During a 4-week research project, the collective KUNCI from Yogyakarta, Indonesia transformed the gallery into Radio Kunci. 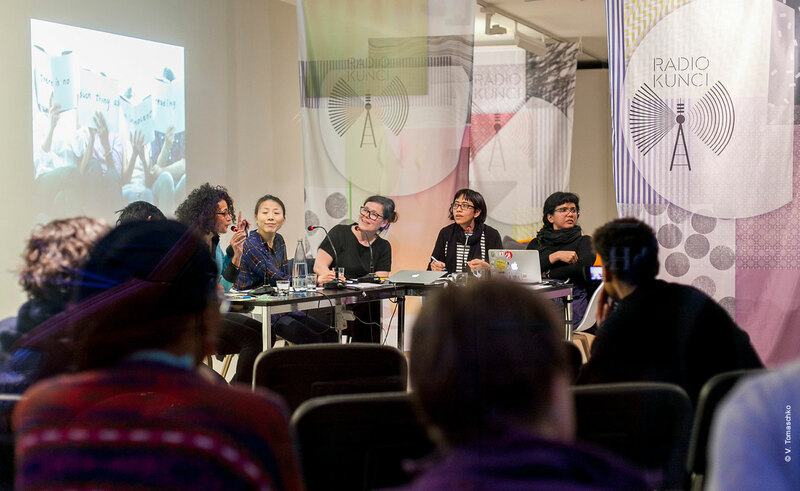 The group hosted discussions and broadcasted live. 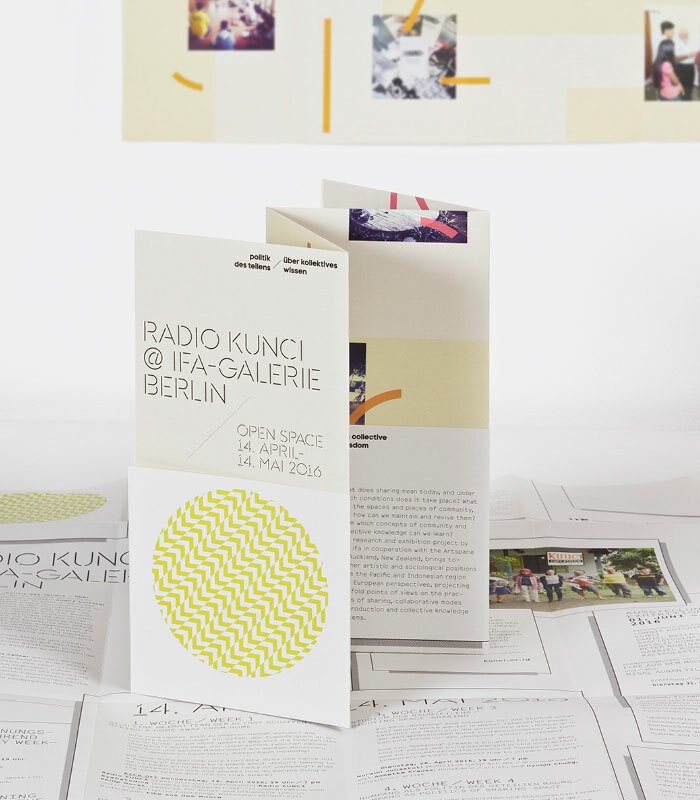 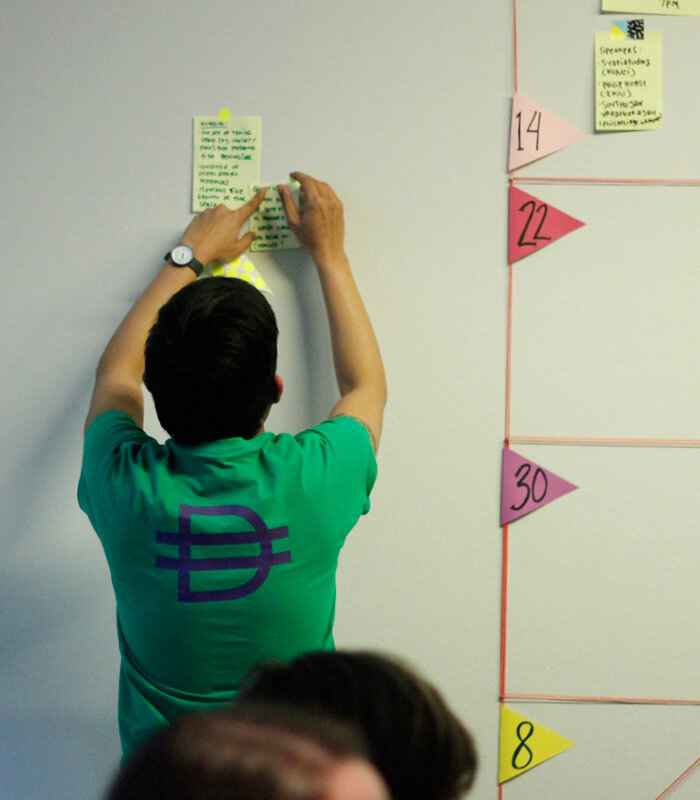 SLANG created flags, a key visual, a flyer/poster, and a logo. 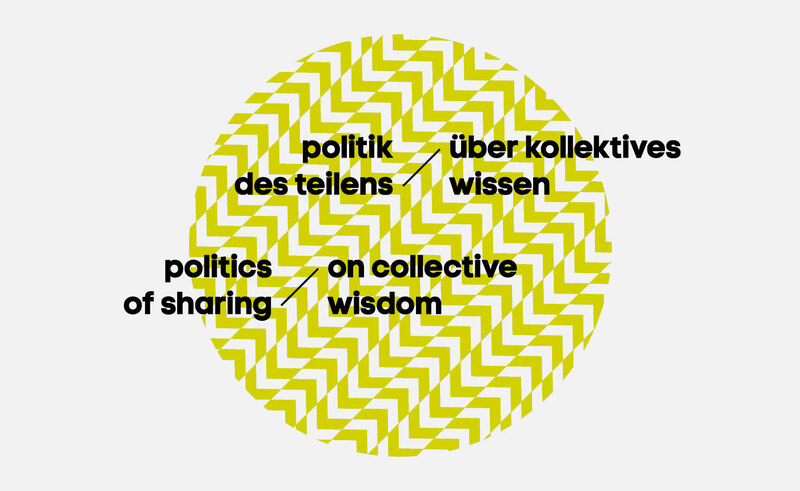 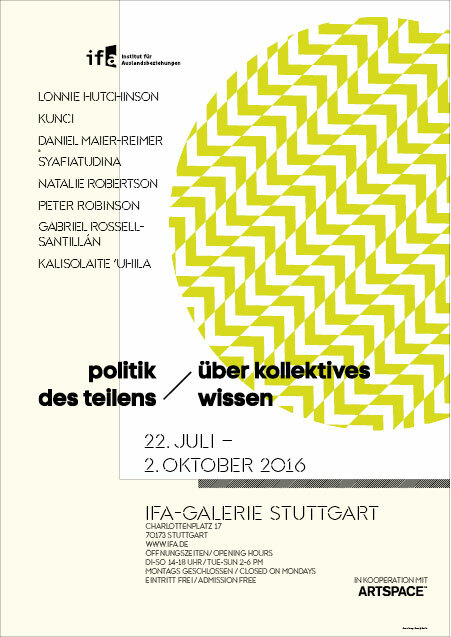 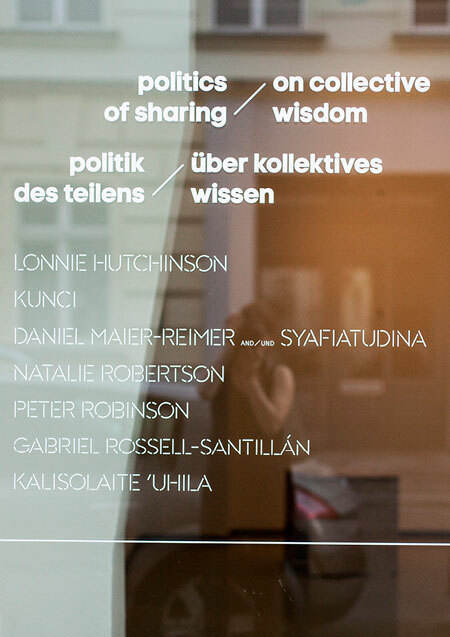 Together with Auckland Artspace (New Zealand) the ifa gallery simultaneously showed Politics of Sharing, a group exhibition addressing issues of sharing and community. 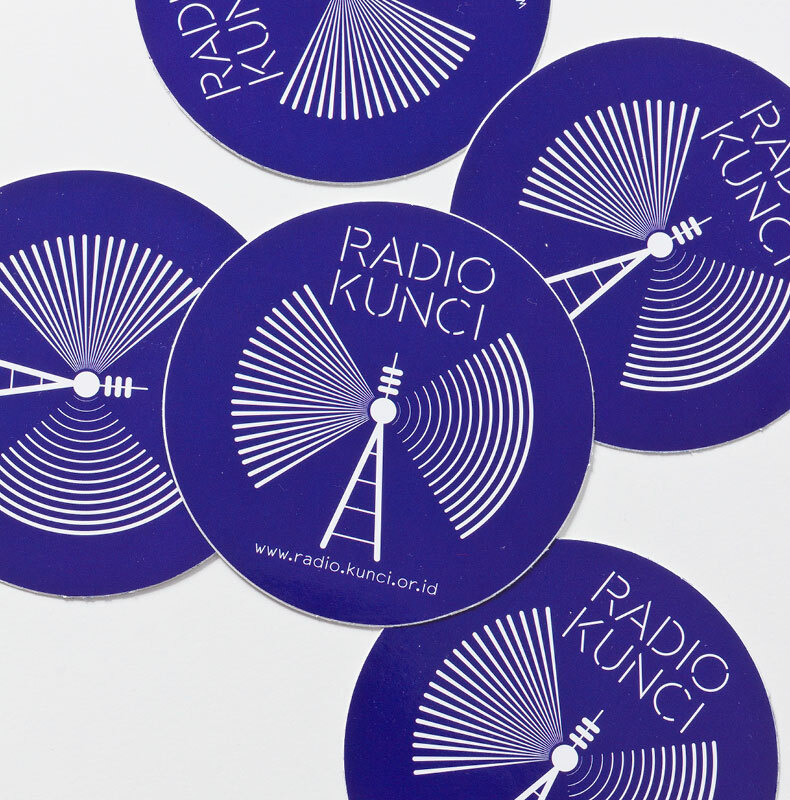 we designed the logo, program, postcard, and outdoor advertising.